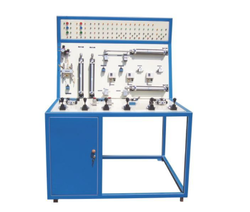 Our product range includes a wide range of fluid mechanics lab equipments. Our organization has successfully expanded its business in market owing to the offered elevated quality array of Fluid Mechanics Lab Equipments that are used to appoint the losses encountered during liquid flow via pipes and other fittings. Manufactured by exceptionally accomplished experts utilizing great quality components and the latest techniques, offered mechanics labs are highly admired for their excellent quality standards. Additionally, provided mechanics labs are stringently tested by quality experts before these are delivered to our clients. Looking for Fluid Mechanics Lab ?